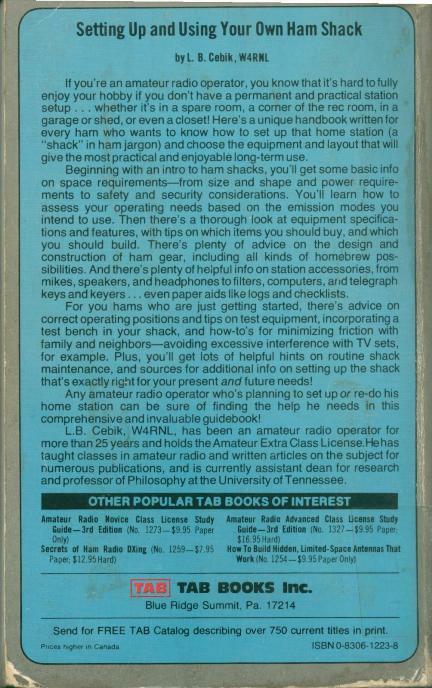 They left off “your mother’s basement” from the list of places you could set up a ham shack (first sentence, first image below). 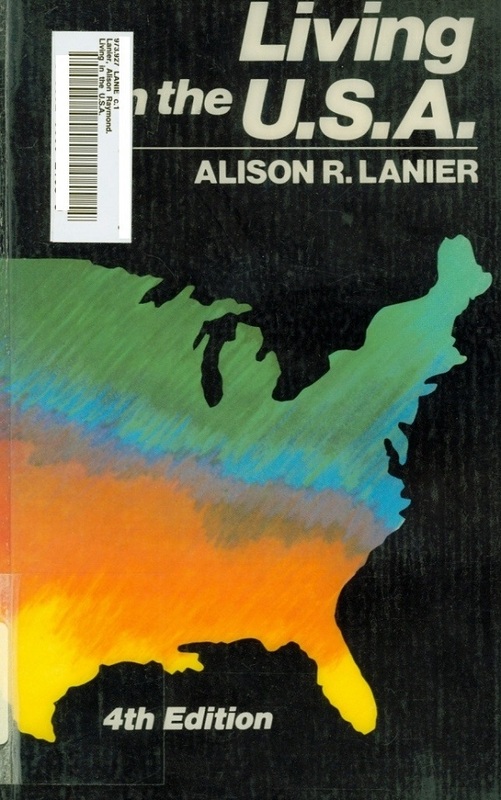 Seriously, though, this is a reasonable subject for the community college library that owned it, but it needs to be updated. Surely the specs have changed for power and modern ham equipment (is there modern ham equipment??). Next Post:Do you have a sunburn, or are you always this hot? 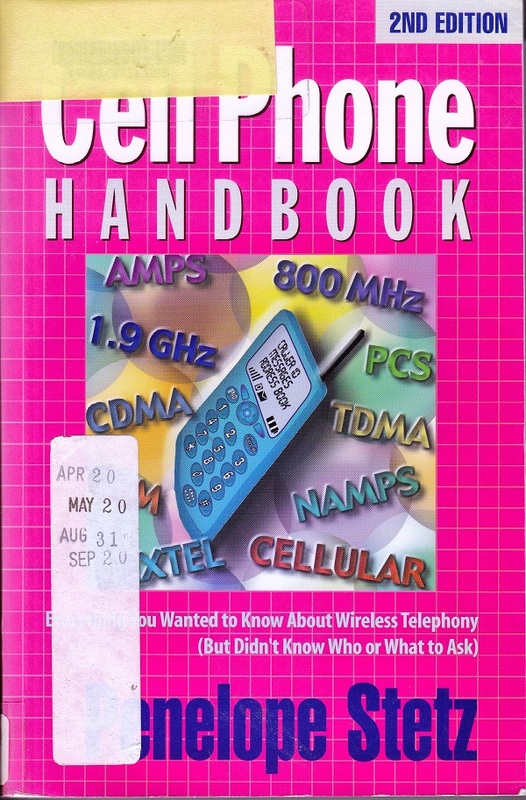 While the slang may have changed, most of the technical information in this book is still quite relivant. “Surely the specs have changed for power and modern ham equipment (is there modern ham equipment?? )” – not much has changed….physics is pretty stable as far as “updates” go. How to run cable, positioning an antena, etc is still the same. 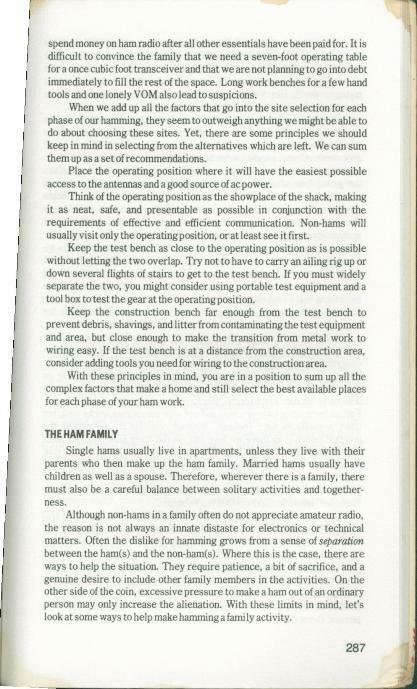 While there is plenty of “modern” ham equipment, many hams use vintage equipment, so this would still be relivent to many of them. Yikes, I remember that book from when I was a kid! The hobby still exists, though it’s dropped off in popularity quite a lot. It’s still not uncommon among semi-self-taught electronics enthusiasts, who are likely to turn up as patrons of a community college library that offers technology courses. There is new equipment, but a lot of the older stuff is still in use; it lasts a long time, and it’s popular for teaching, since you can see and repair all the parts… this is a case where, if there’s space and budget, it might be worth keeping the old book as well as getting a new one, unless one can find a new one that includes the technical details on the older equipment that will turn up in classes. Replacing would be better, of course, but for a college library it’s worth checking with other departments on campus to see if it or something newer is more relevant to what they’re teaching. The title sounds like a lego set made of pork product. There is plenty of modern ham equipment! 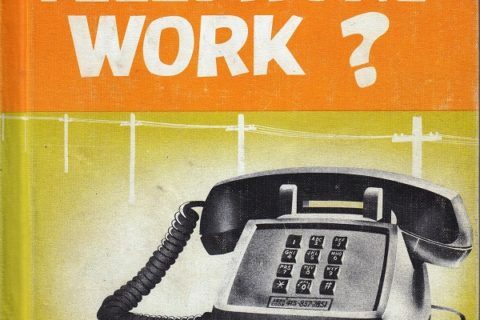 In fact, NPR reported last year that the number of ham radio operators is up 60% from a generation ago ( http://www.npr.org/templates/story/story.php?storyId=125586086 ). I doubt, however, that this book would be helpful to most of them. This is the ALB equivalent of “watch the screen,” which has come up in every library staff meeting I’ve ever attended. Yes, there is indeed modern ham radio equipment: http://www.hamradio.com/ just for a quick look through the window. Just like computers and other electronic and electrical gear, the quality and ease of operation with digital controls/technology means you can get 100 times the technology and operational convenience at one-tenth the cost. And you no longer need to know and be passably fluent in Morse code to get an amateur license! However, the basic physics of antenna placement, electrical power, wavelengths, grounding your antenna and power supply, etc. don’t change as much as you may think. And I know of several “ham shacks” that look almost exactly like that cover image today, minus the pipe, of course–some of the older equipment, like vacuum tube radios, stereos, hi-fis and LP turntables, are prized by a certain segment of the hobby for the richness of the sound and supposed superior performance of analog over digital equipment. I’ve plugged older high-quality headphones into modern security radios and had the department head listen to the sound quality, and he practically–well, this is a family blog, so think of the famous scene in “When Harry Met Sally.” I’ve had the richness of the older rigs described as a “third dimension” to the experience that cheaper digital transcievers can’t match–think old monochrome computer screens compared with modern color graphic-user interface when it’s still basically text translation of 1’s and 0’s. In all probability, that book could still function if it were repackaged in a newer, more modern cover so it didn’t look like it came out of the disco era, but there are indeed more modern books covering the same information if you are so inclined–and the ham radio club in your area might be all too willing to get it for your system if you let them. Incidentally, TAB Books was located in an obscure little hamlet of Blue Ridge Summit, Pa. northeast of Hagerstown, Md. on the Mason-Dixon Line, distributing a line of technical-education books apparently reminiscent of older “how-to” or correspondence-school textbooks. It seems to have done all its publishing work between 1985 and 1992. The pipe is quite hilarious, as well as the questionable angle he’s writing stuff down at. I would definitely suggest an update. Wow—you have the “watch the screen” problem too? I would think that some of the power stuff would’ve changed though. I just saw an episode of American Pickers where they said you should never plug in old electronics as our modern electrical outlets can cause them to burn out. You should have an expert look at them first to make sure it’s okay. I would imagine the same would be said of some of the parts of HAM stuff that runs on electricity. 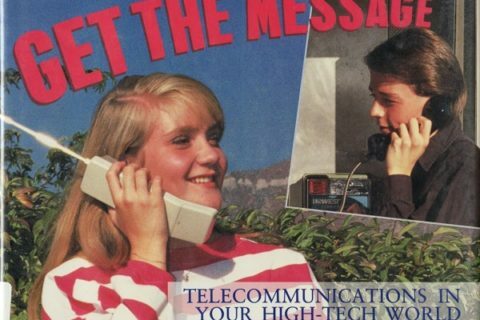 When cell towers fall, as in earthquakes, or they are wiped out, as in tsunamis, or when cell channels are blocked, as in revolutions, ham radio can still get through, provided you have batteries or a generator. “Cebik [the author] was a celebrated antenna guru who passed away recently. By-the-way: What IS that map on the wall OF? @Lurker The United Factions of Burglovia, of course! … I just noticed, the sign above the map matches the author’s callsign. It’s a self portrait, pipe and all! 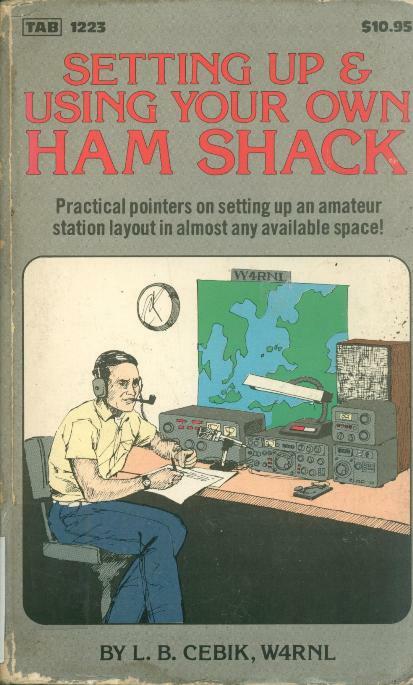 Ham Shack sounds like a roadside stand selling ham sandwiches. So come on and bring your sausage-skin money! 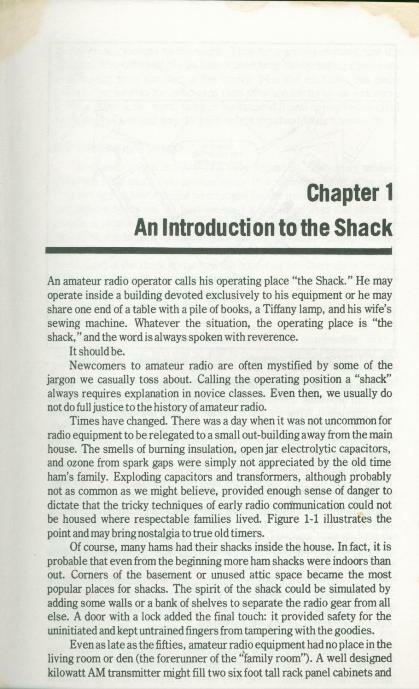 So um…silly question, but is that how Radio Shack got its name?